Also called moon cactus, this is one of the strangest plants of the desert. It is a member of the cactus family that resembles nothing more than a dead bust most of the year. It is rarely seen in the wild because of its inconspicuousness. 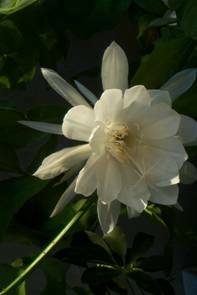 But for one night each summer, it exquisitely scented flowers open as night falls, then closes forever with the first rays of the morning sun. Range: Sonoran and Chihuahuan deserts of southern <?xml:namespace prefix = st1 ns = "urn:schemas-microsoft-com:office:smarttags" />Arizona, east to western Texas and south to northern Mexico. Habitat: Desert flats and washes between 3000 and 5000 feet. Often in the shade of desert shrubs like creosote. 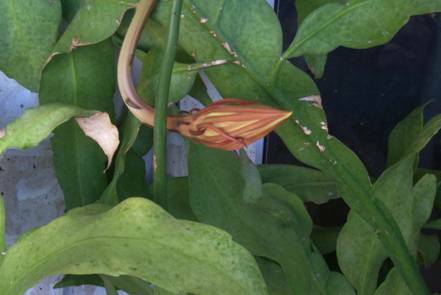 Flowers: While the bud is forming, the growth is downward. A few days before the bloom, the buds start to point upward when bloom occurs tubes resemble a Dutchman’s pipe, one of the common names. July are up to four inches wide and as much as 8 inches long. The waxy, creamy-white, many petaled flowers are followed by a red-orange, short-spine elliptical fruit about 3 inches long. 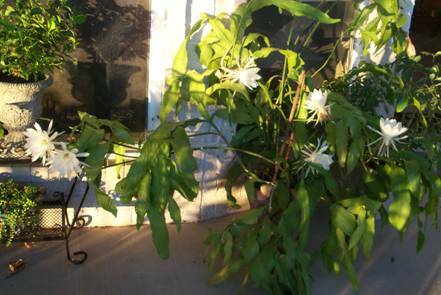 Description: The night-blooming cereus is evergreen and has sparse, angular, lead gray, twiggy stems about ½ inch in diameter. Extremely small spines grow along the 4 to 5 ribs at these woody stems, which can easily break. It can be erect or sprawling, reaching 8 – 10 feet, but is usually half that length. Grows best in sun to part shade. It has a tuberous, turnip-like root usually weighing 5 to 15 pounds (but some specimens weighing over 100 pounds), which Native Americans used as a food source. A close Baja relation (Peniocereus johnstonii, called Saramatraca, Pitayita, or Matraca popular for its edible tuber, which probably accounts for the plant being scarce. 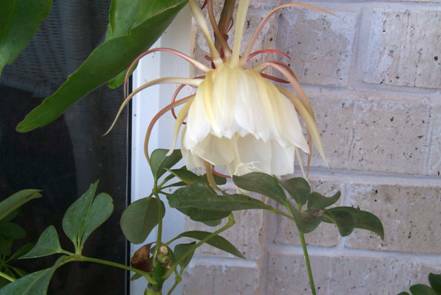 Night-blooming cereus is popular in rock gardens and be grown from stem cuttings. 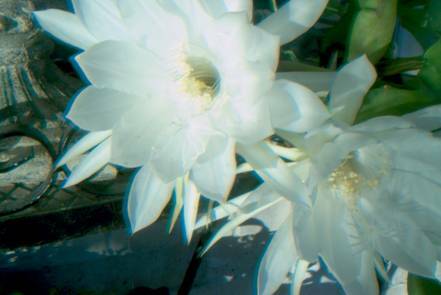 After the cut end is allowed to heal for several weeks, it is planted in dray sand, like all cactus, Night-blooming Cereus may be protected in certain desert areas and permits may be required to collect them. Note: The plant can be grown indoors, has average water requirements. If the plant is growing well and looks good, it probably won’t bloom. The flowers form out of survival mode. If it doesn’t feel threatened, it won’t gloom. Don’t over fertilize or over water. 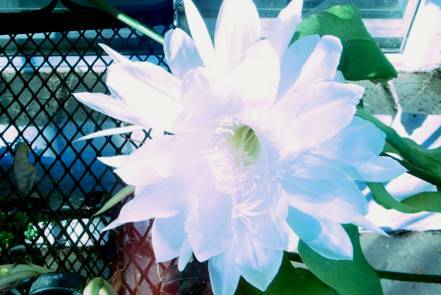 It is also known and sold under several other botanical names.